Although in theory the term "cardiomyopathy" could apply to almost any disease affecting the heart, in practice it is usually reserved for "severe myocardial disease leading to heart failure". 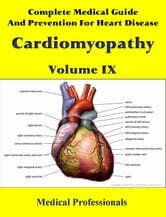 Cardiomyopathies can be categorized as extrinsic or intrinsic. An intrinsic cardiomyopathy is defined as weakness in the muscle of the heart not due to an identifiable external cause. This definition was used to categorize previously idiopathic cardiomyopathies although specific external causes have since been identified for many. For example, alcoholism has been identified as a cause for some forms of dilated cardiomyopathy. To make a diagnosis of an intrinsic cardiomyopathy, significant coronary artery disease should be ruled out first (amongst other causes). The term intrinsic cardiomyopathy does not describe the specific etiology of weakened heart muscle. The intrinsic cardiomyopathies consist of a variety of disease states, each with their own causes. Many intrinsic cardiomyopathies now have identifiable external causes including drug and alcohol toxicity, certain infections (including Hepatitis C), and various genetic and idiopathic (i.e., unknown) causes. It is also possible to classify cardiomyopathies functionally, as involving dilation, hypertrophy, or restriction.